The question of the origin of badness is a core problematic in New Confucian philosopher Xiong Shili’s 熊十力 (1885–1968) Ming Xin Pian明心篇 (Explaining the Mind; 1959), a work representative of his thought towards the end of his life. In this essay, I examine how Xiong uses the concepts of the nature (xing 性) and the mind (xin 心) to explain the origin of moral badness. Xiong asserts that the Buddhists never concerned themselves with the problem of the origin of ignorance and delusion, afflictions that in turn lead to suffering and wrongdoing. Xiong sets out to redress what he claims the Buddhists had failed to do. I argue that the conceptual structure of both Xiong Shili’s and Zhu Xi’s 朱熹 (1130–1200) theoretical approaches to this problem are isomorphic. The isomorphism is significant because it suggests that Xiong consciously drew on Zhu Xi and/or the Buddhist models that Zhu in turn drew on. I provide evidence to show that even as late as 1959, and despite his increasingly entrenched criticisms of Buddhism, Xiong continued to draw on key concepts and models drawn from Buddhist philosophy of mind. With regard to the study of the general history of Chinese philosophy and the creation of a philosophical system, Feng Youlan (Fung Yu-lan) has still not been surpassed in the circle of contemporary Chinese philosophy. His text A History of Chinese Philosophy (in two volumes) has particular value not only because of its description of the history of Chinese philosophy, but also because of its historical linking of antiquity and modernity, and of China and the West, a feat realized through philosophy. His philosophical system, set forth in the Six Books of Zhenyuan貞元六書 (six philosophical monographs) and widely known as the New Learning of Principle system, has ontologically established the primacy of Principle, and, culturally, has instantiated the process of modernization, all of which retains its significance even today. Feng’s thought on realms in his philosophy of life is centered around understanding-based self-enlightenment and has opened a new perspective for reflective thought about, and understanding of, Chinese philosophy. However, it falls short in its failure to acknowledge that “understanding-based self-enlightenment should also be a dynamic process of practice.” Feng showed his academic orientation, distinguished by syncretizing the Learning of Principle and the Learning of Mind, by integrating philosophical creation into the research on the history of philosophy in his late years; however, this syncretism can be pushed further with regard to the issue of unity between subject and object—continuity between the investigation of things before complete understanding and complete enlightenment of the mind after the complete understanding of things. Feng thinks in A Short History of Chinese Philosophy that the most significant contribution that Chinese philosophy has made to the world is in its philosophy of life, and, subsequent to this assertion, one can point out that Chinese philosophy can also make contributions in terms of methodology. In Chinese philosophy, benevolence has an ontological meaning, and is the ontological basis for man and all the other beings to exist in the oneness, as well as the ontological basis for man and the world to be united. Chinese philosophy contains valuable insights in overcoming the opposition between subject and object, establishing a new view of subjects, a new view of objects, and, consequently, creating a new type of subject-object relationship and realizing a second enlightenment of the world. In this article, I offer a provisional analysis of the philosophical semantics of “wisdom” in the thought of the New Confucian thinker Tang Junyi. I begin by providing some pointers concerning the concept of wisdom in general and situating the discourse on wisdom in comparative philosophy in the context of the later Foucault’s and Pierre Hadot’s historical investigations into ancient Graeco-Roman philosophy as a mode of spiritual self-cultivation and self-transformation. In the remainder of the paper, I try to describe and think through what Foucault identifies as a “Cartesian moment,” in which self-knowledge becomes the ultimate precondition for the ethico-spiritual project of “caring for the self,” in Tang’s approach of wisdom. In the course of my argument, I outline the complex relation between his vision of a renewed Confucian mode of religious practice on the one hand and his philosophical presuppositions concerning the transcendental status of subjectivity and the reflexivity of consciousness on the other. In this paper I investigate differences and similarities in the definitions of human being and human essence as proposed by two of the most influential thinkers of 20th-century world philosophy, namely Mou Zongsan and Martin Heidegger. I first examine a number of interpretations put forth by scholars that assess the philosophical compatibility of the thought of the two philosophers. Each of these assessments tend to agree that they are incompatible with each other based on what they perceive as an absolute distance between Mou’s and Heidegger’s ways of thinking. Although these studies are pioneering and show an in-depth understanding of Mou’s thought, none demonstrate a correct understanding of Heidegger’s philosophy. Therefore, I will attempt to demonstrate that, despite their differences, the ontological and ethical theses of Mou and Heidegger have several striking points of contact. I will also put forth the claim that Heidegger’s post-turn philosophy is more compatible with Mou’s philosophy than Kant’s system. Li Zehou belongs among the ranks of the most important Chinese philosophers of the 20th and 21st centuries. In his complex theoretical system, he aimed to reconcile the Chinese cultural heritage with the demands of the contemporary world. Besides elaborating on traditional Chinese philosophy, Li launched many innovative views based on his understanding of specific developments in pre-modern and modern Western philosophy. His philosophy could be described as the search for a synthesis between Western and traditional Chinese thought and a specifically Chinese modernization. In order to provide a basic insight into Li’s specific methods of combining Kant, early Marx and classical Chinese philosophy, the present article investigates his elaboration of the traditional Chinese paradigm of “the unity of nature and man” (tianren heyi天人合一) through the lens of ideas about humanized nature (renhua de ziran人化的自然) and naturalized humans (ziranhua de ren自然化的人). This article endeavors to provide an overview on contemporary Chinese philosophy. The focus is on contemporary Chinese philosophy in the Chinese-speaking world, particularly after the 1950s, although contemporary Chinese philosophy both in its inception in early 20th century China and in the English-speaking world are also explored. 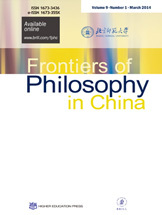 In addition to designating separate genres of contemporary Chinese philosophical interpretation and construction, including some of the major issues under discussion and debate as well as giving attention to several representative scholars, this article also teases out the historical contexts in which those issues emerged and developed, and it highlights the salient feature of contemporary Chinese philosophy in general. The Chinese study of medieval philosophy has undergone an extraordinary historical process, and it has made great advances in the last 40 years. 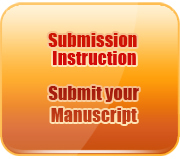 This paper provides a retrospective analysis of the pioneering Chinese scholars, both traditional and modern, who have played significant roles in the establishment and development of this historical field of inquiry. It pays particular attention to the important scholars, their works, methodologies, and findings over the course of the last forty years, and it also looks to the challenges currently facing this area of study and addresses the current state of the field and its future prospects. Although Chinese scholarship on medieval philosophy has already achieved great accomplishments, compared with the level of international research in the field abroad, there is still a huge gap to be remedied and therefore, we must recognize that there are great opportunities for Chinese scholars who will undertake the study of medieval philosophy with all due seriousness. In the past 40 years, Chinese research in the field of philosophical aesthetics has made great progress in basic research and academic contributions. The Chinese approach to the ontology of contemporary aesthetics has played the most important role in this historical transition. A shifting paradigm of the ontology of aesthetics—from the concept of “practice” (shijian實踐) to the concept of “living” (shenghuo 生活)—is assisting to integrate Chinese aesthetics into the context of globalization, and the future of Chinese aesthetics is both Chinese and global. “Aesthetics” is not just Ganxue 感学 in the sense of Aesthetica, it is also is a Juexue 觉学 that is closer to the sense of Aisthetik in Chinese context.